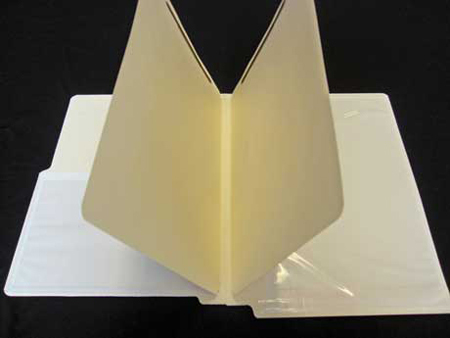 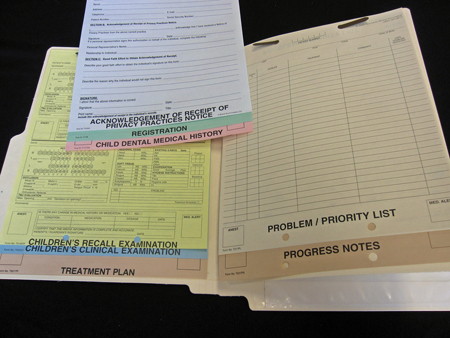 The Periodontal Basic Record comes pre-assembled with clips, 1 divider, 1 big pocket, and 9 assembled forms. 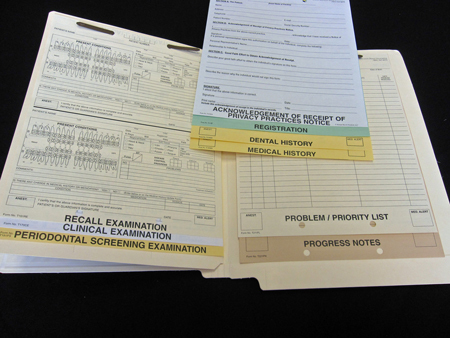 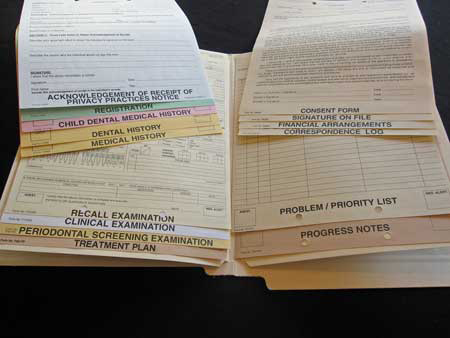 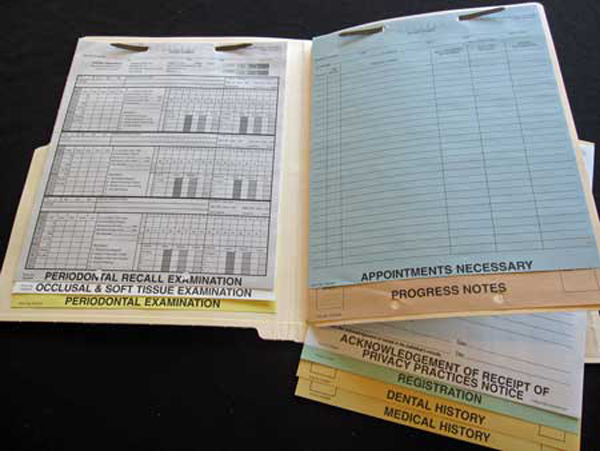 The Periodontal Basic Chart is assembled with clips, 1 manila folder, 1 divider, 1 big pocket, and 9 forms. 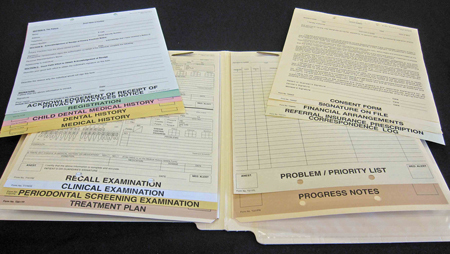 Assembled as shown. 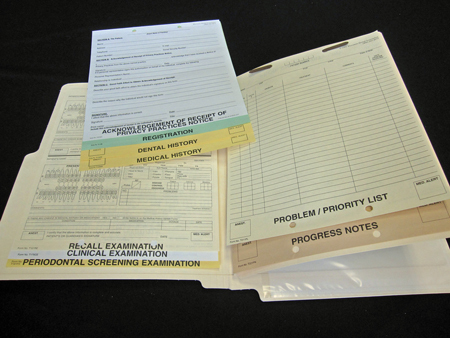 Forms included are: Periodontal Exam, Occlusal & Soft Tissue Exam, Periodontal Recall Exam, HIPAA, Registration, Dental History, Medical History, Progress Notes, and Appointments Necessary.